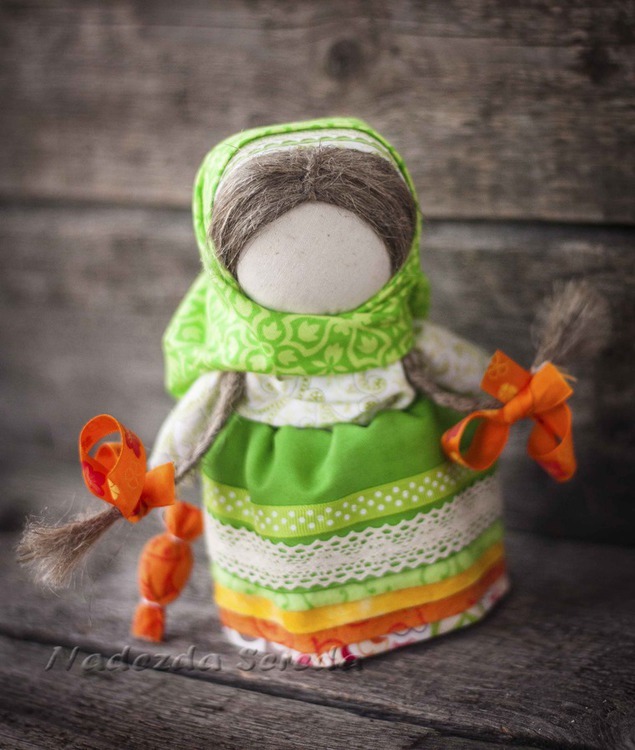 Folk Talisman Doll Tutorial ~ DIY Tutorial Ideas! We all love to give and receive gifts, especially something sweet. 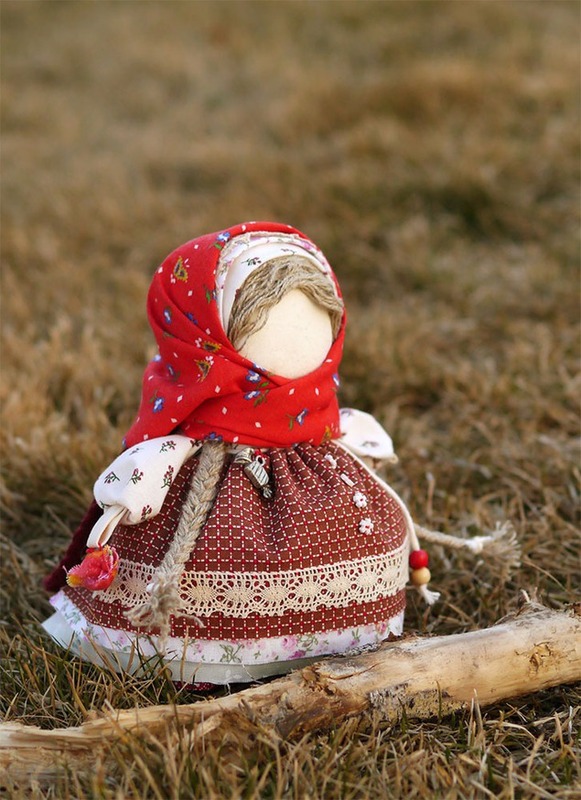 And I decided to show you how to create a souvenir doll — a Girl with a Candy that is based on protective folk doll called stolbushka (like a 'post', 'column'). 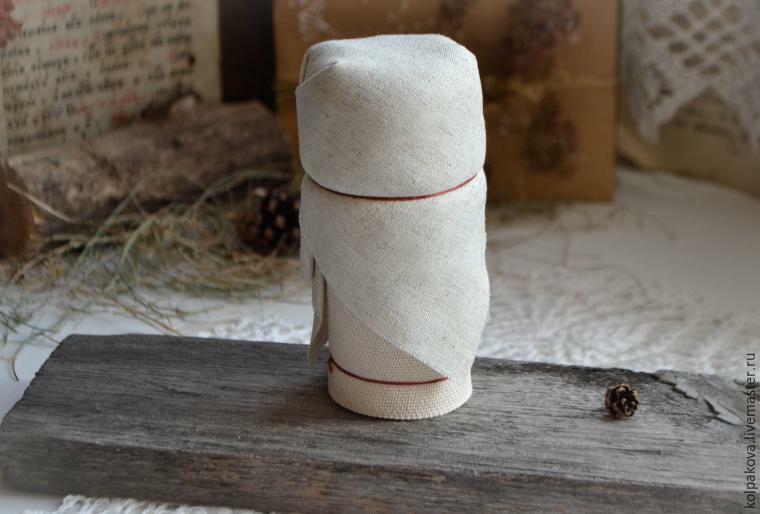 Take the birch blank and tightly wrap it with two-ply cloth, fasten with the strong thread of red color in a clockwise direction (by the sun), make knots. Mark the neck at the top, indicate the sacred cross with red strong threads, put the cotton wool on the blank and shape the head of the doll. 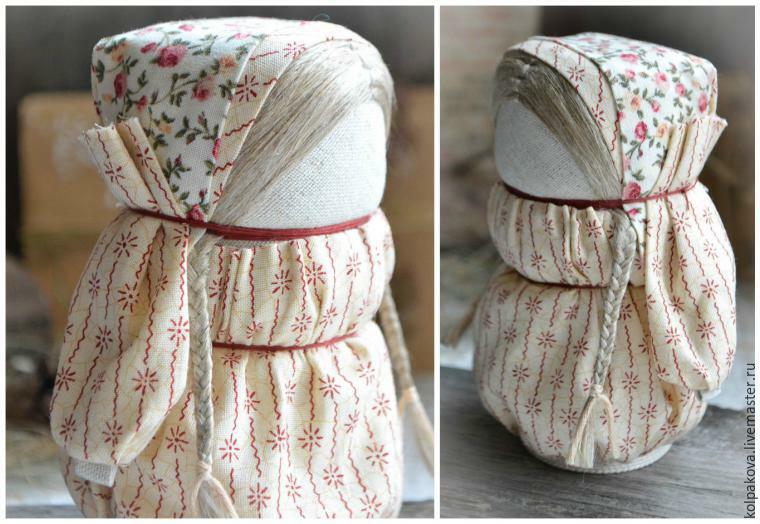 Wrap it with the linen cloth of 20*20 cm, then lay the ends of the linen fabric back to shape the head of the doll. Mark the length of the shirt, iron the upper and lower edges at 1-1.5 cm. Stitch along the lines, leaving the ends of the threads at 4 on each side, collect the shirt from the bottom and the top using the threads. 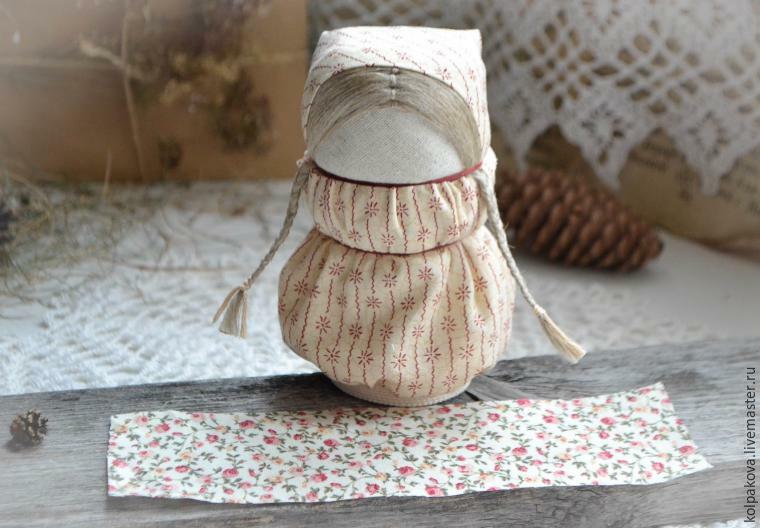 Put the shirt on the doll, tying the ends of the upper and lower threads behind the planned waist and also tie up with thread, securing the ends on the back. 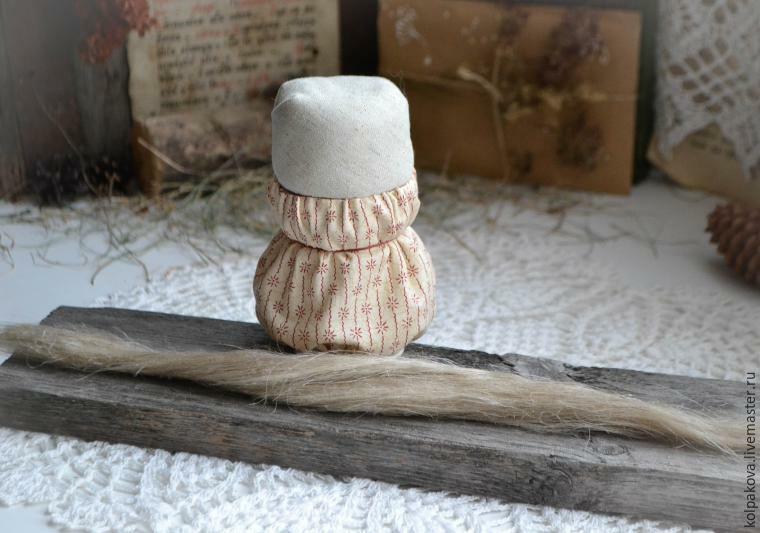 Now the hairstyle with braids from fibers of natural linen, pre-cleaned and combed. Tie up a strand in one or several places — apply the hair. 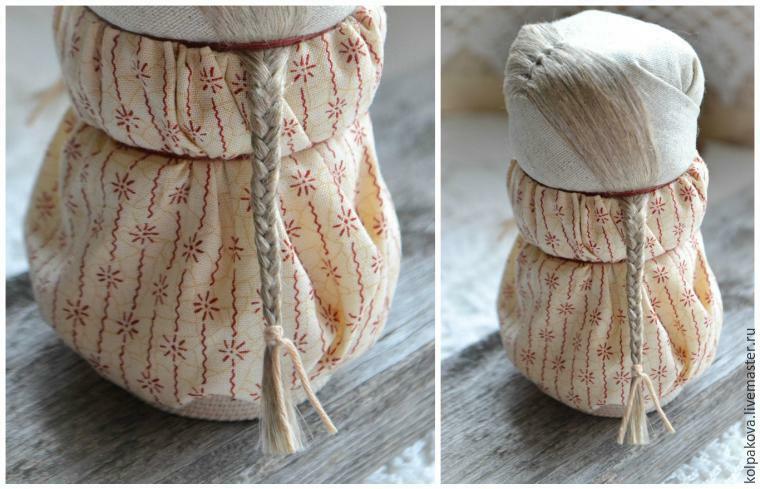 Bind the hair to the head, make two braids, tie the ends with cotton thread. 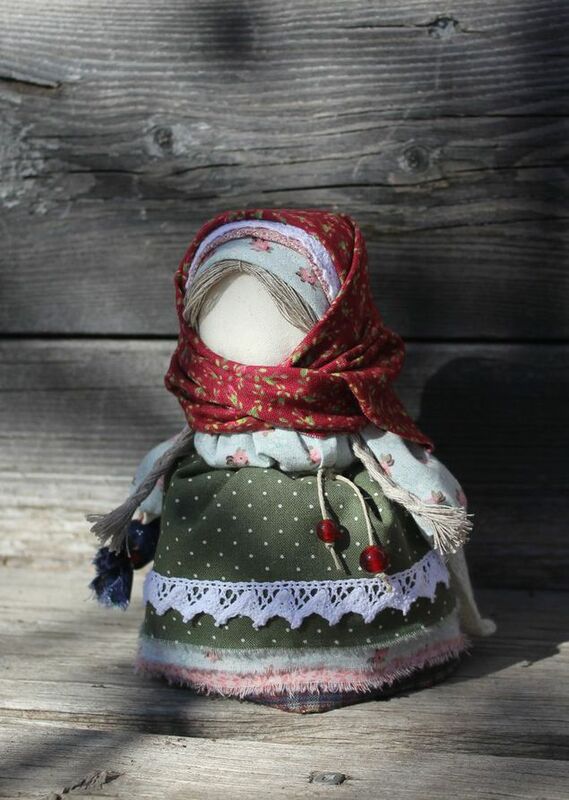 I lay the hair only on the visible part of the head seen from under the shawl. 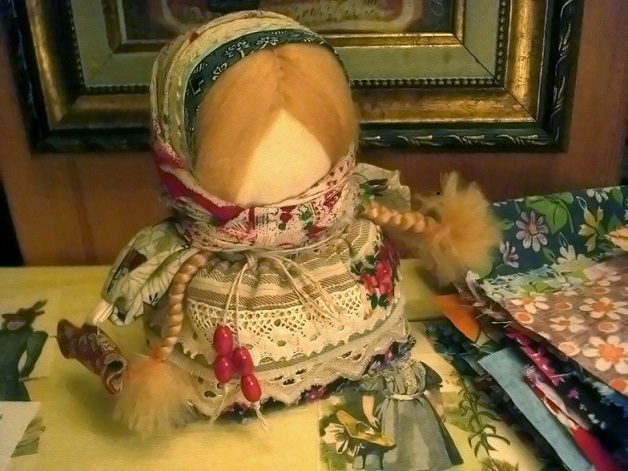 Take the fabric for the ochipok — a part of the Russian costume. Cover the head with the ochipok, fasten with the thread along the neckline creating soft folds at the back, cut off the excess. 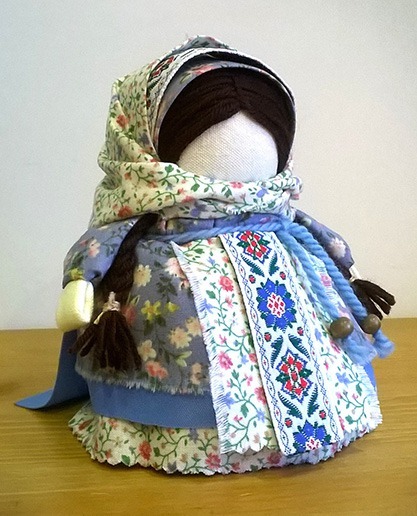 Take the shawl — one more part of the Russian clothing. 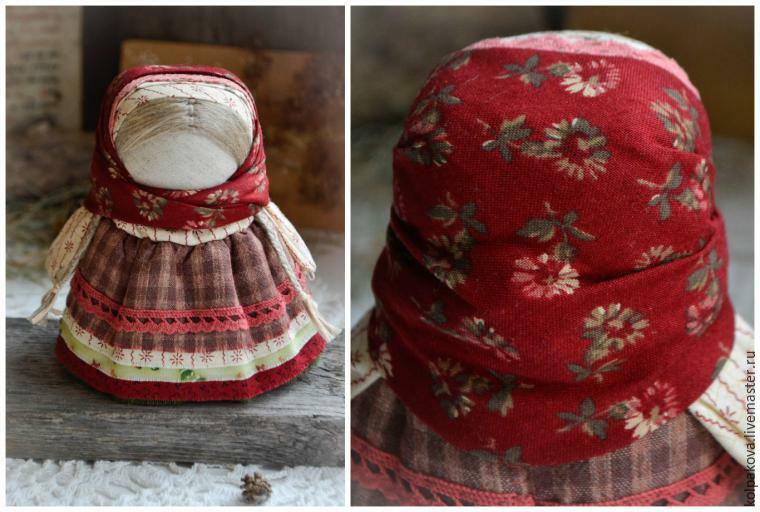 Put it on the head and fix with the thread around the neck. 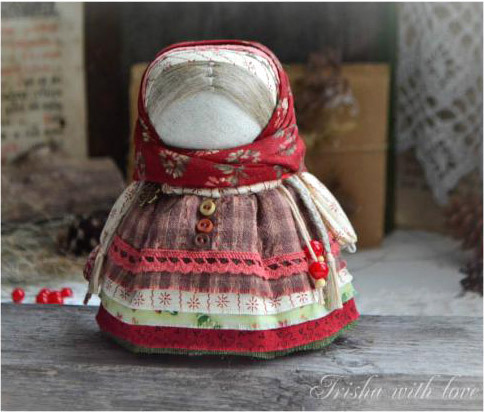 Prepare the sleeves for the doll. 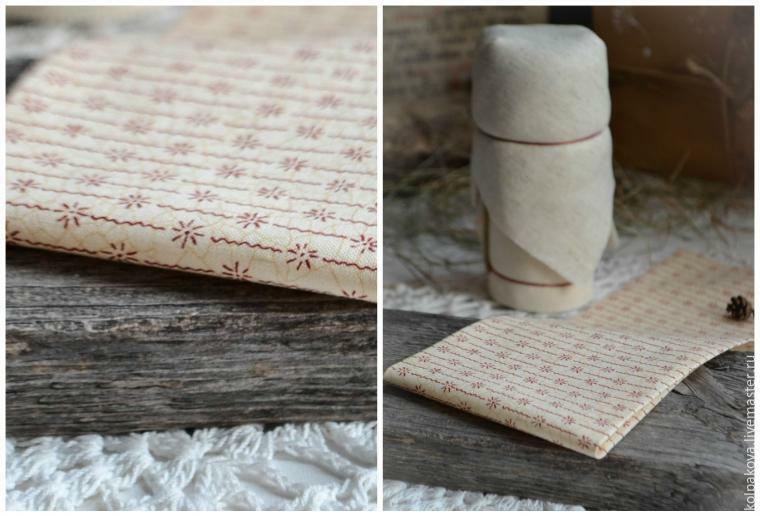 To do this, take two square cloths — 10*10 cm of the same fabric as the shirt. 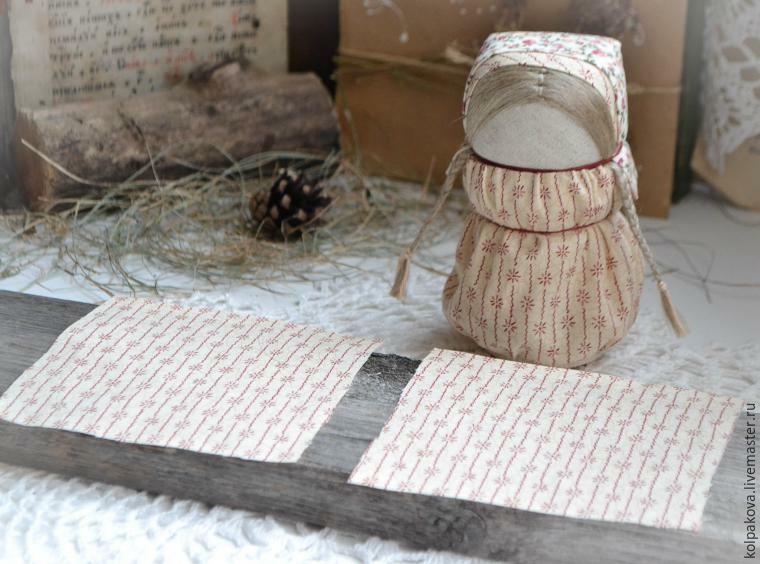 Make the hands from flax 2.5*10 cm, folding and iron the strip. 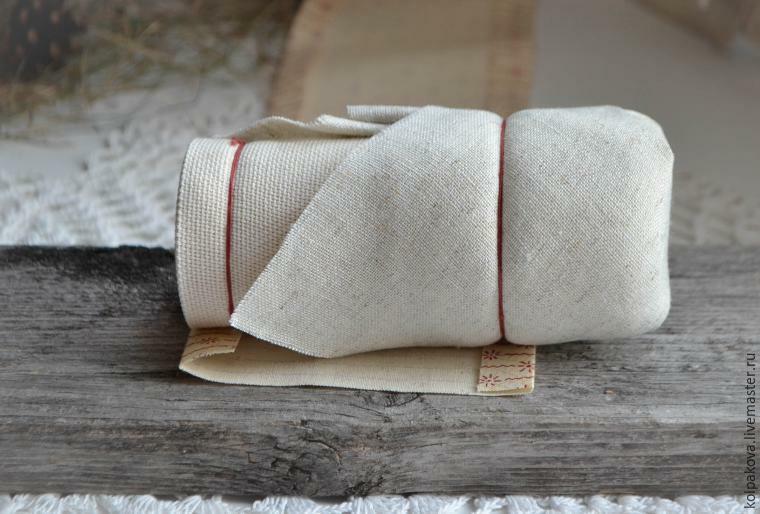 Put the hand on the square cloth from the right side, randomly lay the folds around the linen strips, fix with thread. Turn the sleeves outside in smoothing the folds. Similarly make the second sleeve. Tie the sleeves to the neck. Then goes cotton lace as an extra shawl. 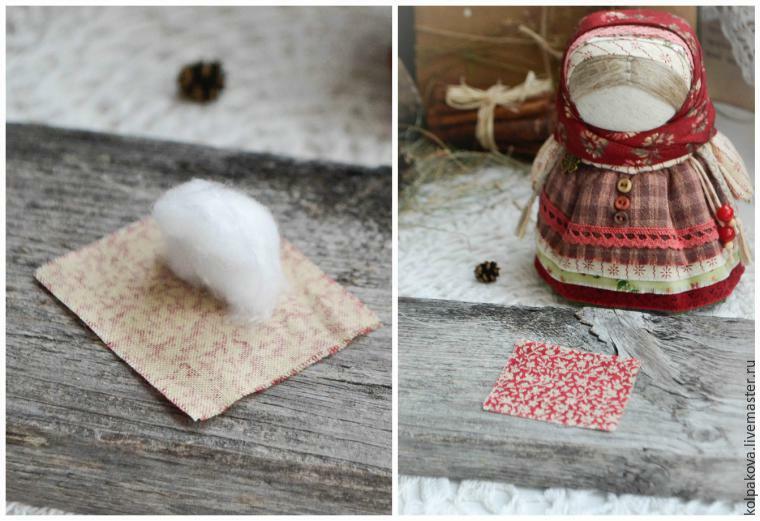 To make the dress, take cotton of different colours. In order to emphasize the multi-layered effect, use several cloths. 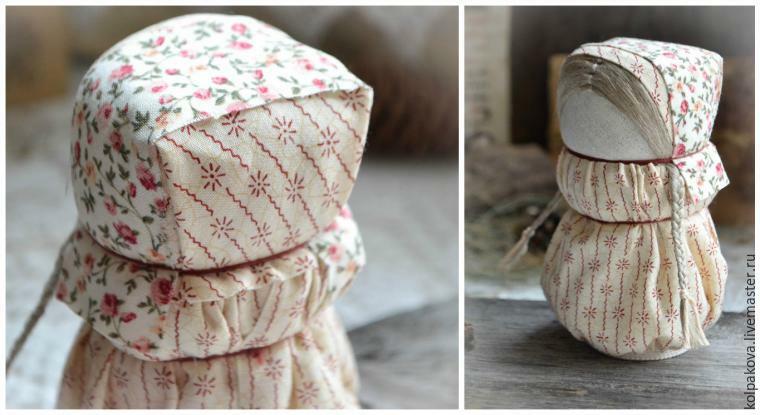 Put all pieces like a sandwich, one on another, and sew the cotton lace to it. 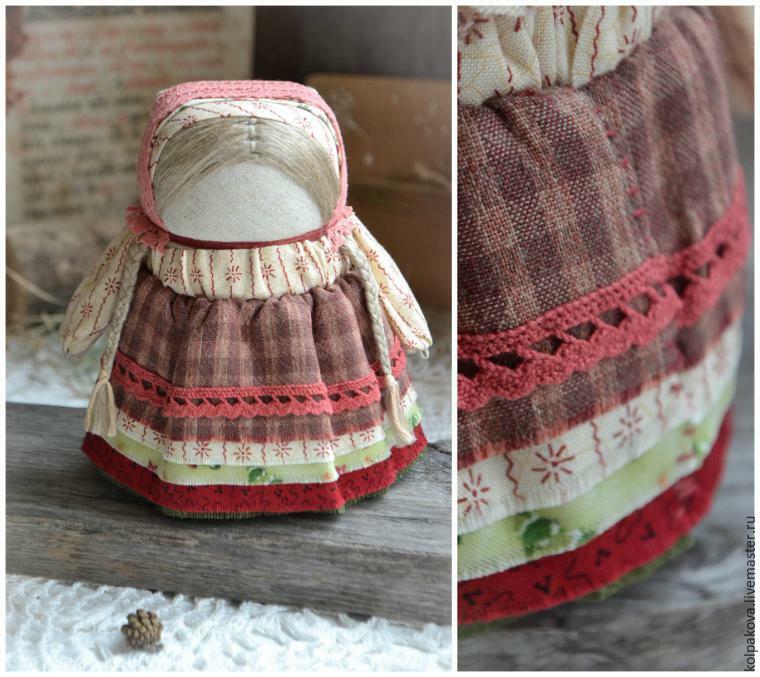 To make a gather, sew the blank of the dress along the middle. Leave about 4 cm of thread at the ends, fold along the seam. Then tighten the thread to form the waist. All his provides the necessary fullness. 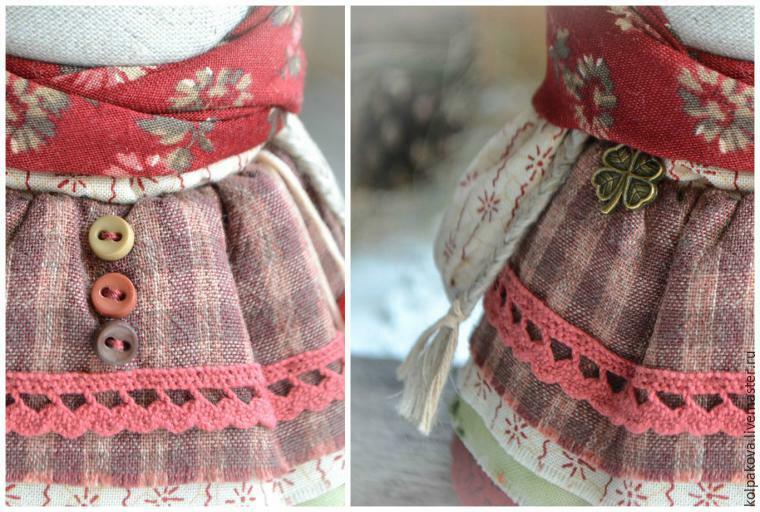 Tie the dress across the waist of the doll, leaving the seam and tying the thread at the back. Fix the open cuts on the dress manually with slanted stitches. 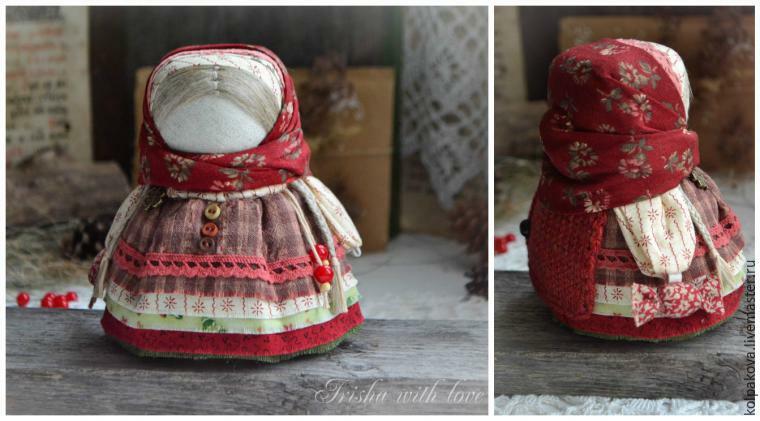 Take the fabric for the red shawl, or any other bright colour. Iron the upper cut at 1 cm. 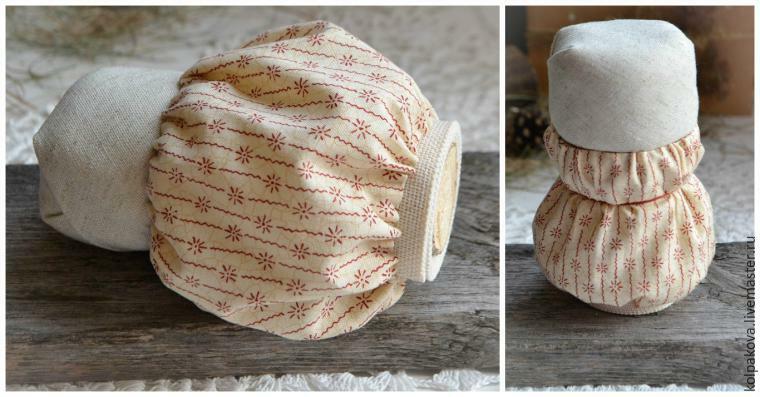 Apply it and make a knot at the back under the upper layers of cloth. 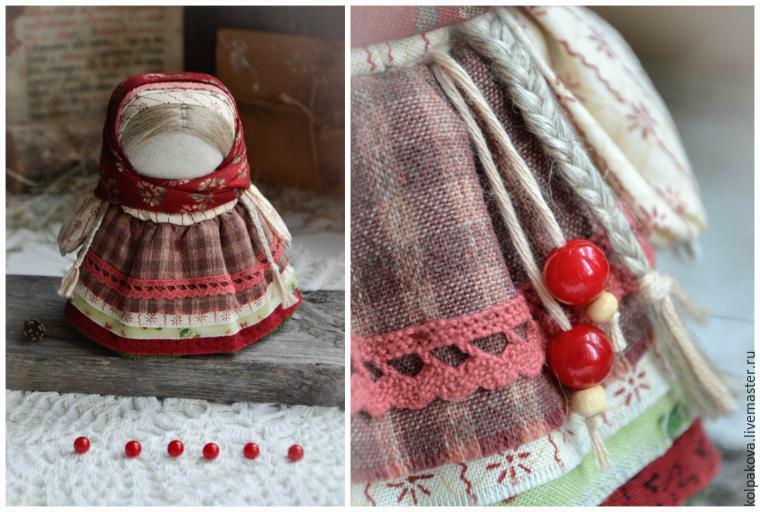 The Doll is to have a candy with a berry filling, so add red beads of glass, stringing them on a cotton thread, tying on the waist. This thread also serves as a belt. 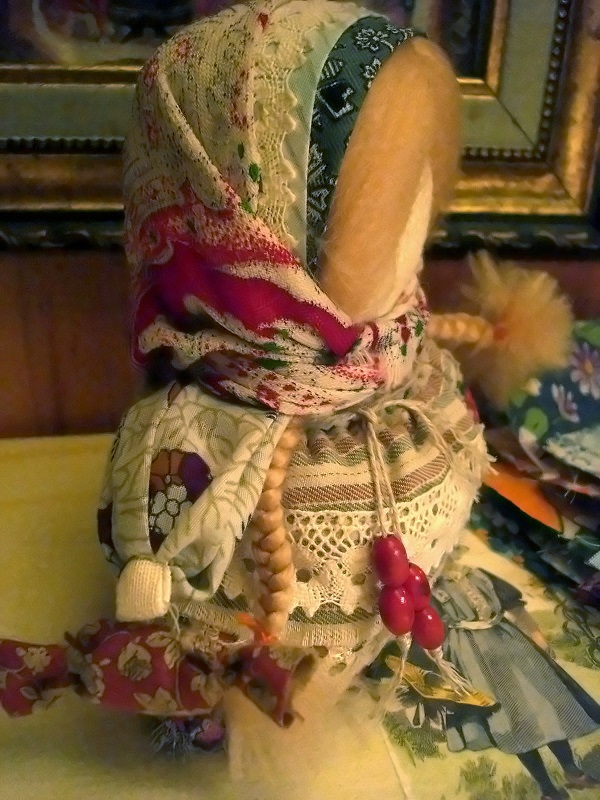 Belt in Russian dress is fastened on the left side (under the heart). 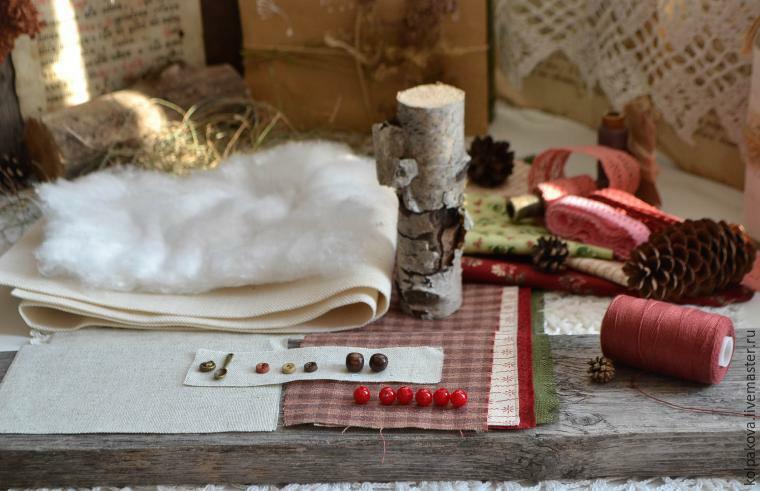 Use all kinds of mini-buttons and findings for decoration. Now it's time to make the candy. 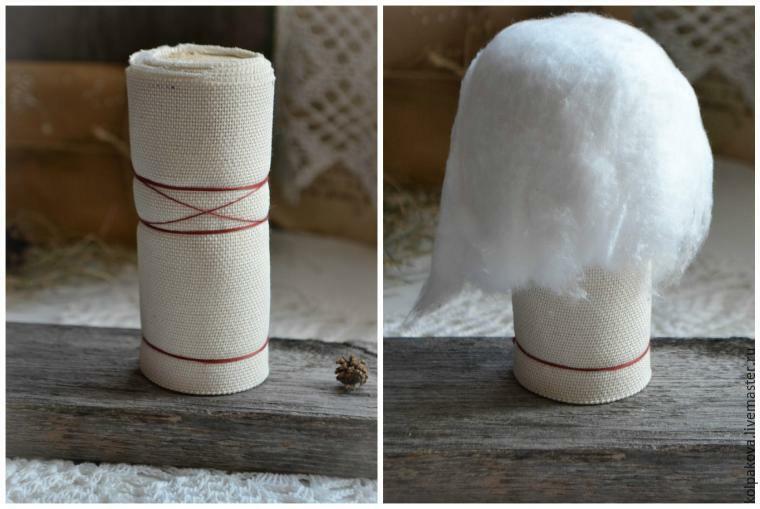 TTake a 5*5 cm cloth, roll a cotton wool candy and wrap it. Apply the sweetie to the doll. 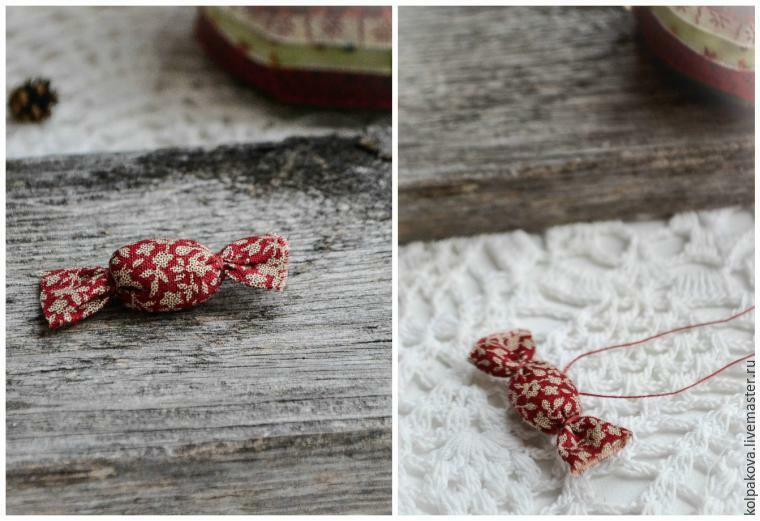 For that, pass the needle with thread through the top of the candy. 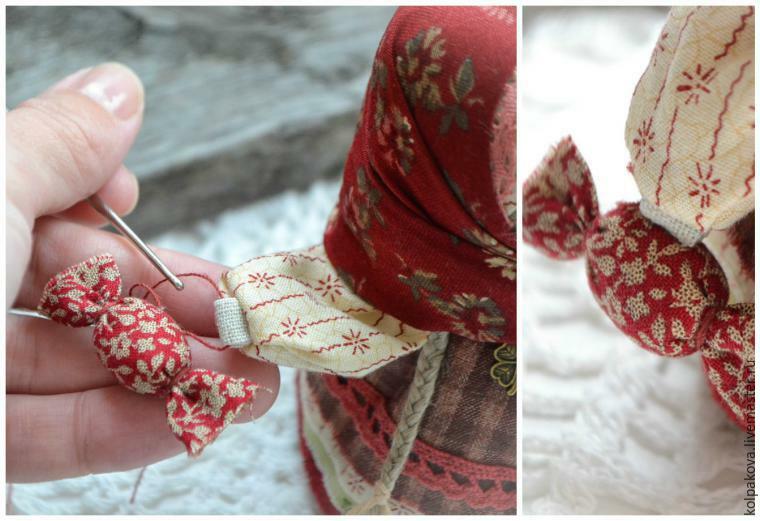 Attach the candy to a palm of the doll, passing the thread through the hole of the hand with a knitting needle, cutting off the excess. 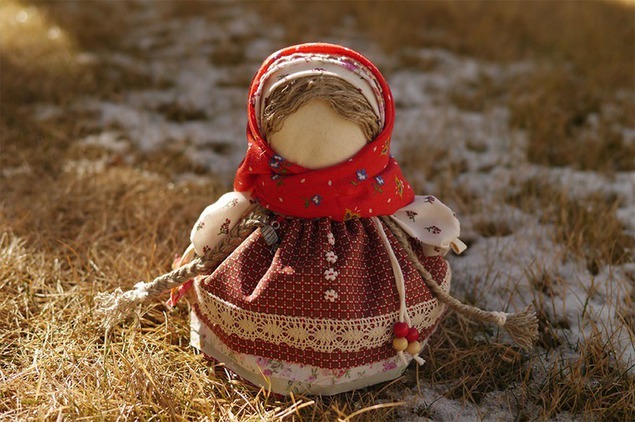 To warm the doll when winter comes, tie a shushpan — Siberian overcoat. 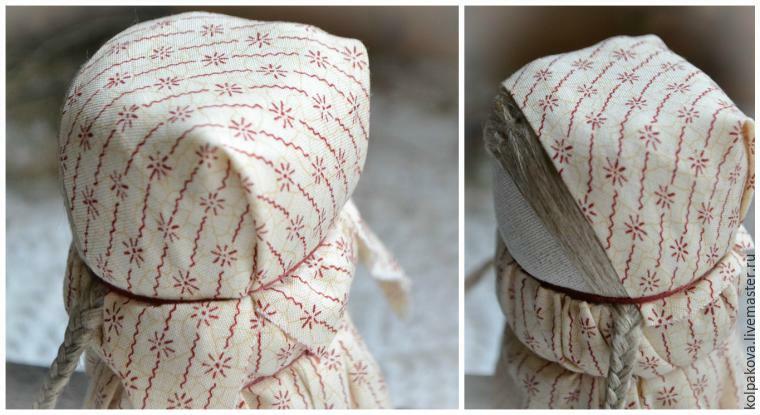 Pass a thread through its upper edge and fasten at the back under the shawl, knotting the thread at the neck line. And here is the lovely creation you get! I hope the tutorial will be useful, and the making proces — joyful! Thank you for a wonderful tutorial for such a lovely lady. muchas gracias, estoy encantanda .